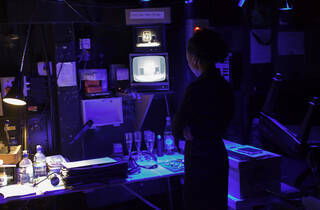 An exhibition looking at the evolution of the National Theatre's current production of 'Timon of Athens', Shakespeare's unusual morality play about an angry Greek hermit. 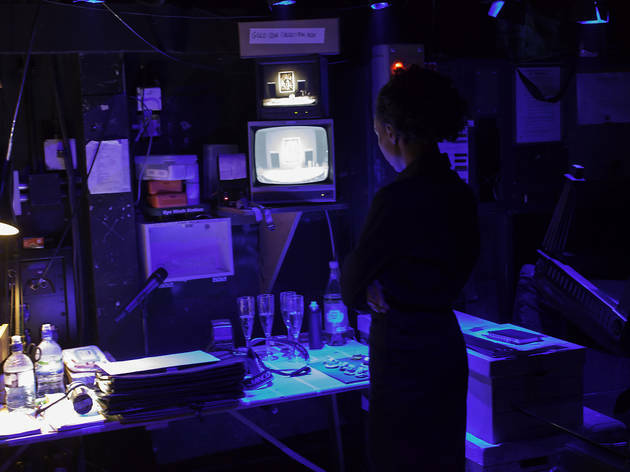 The show follows the production's journey from the NT's workshops and rehearsal rooms to opening night and includes designs, backstage and rehearsal photography, as well as artefacts on loan from the British Museum that explore the play's themes of money, debt and social unrest. These include lead mortuary crosses thought to have been used to mark the graves of plague victims, a pottery money box used to collect pennies at London theatres, a coin balance and a number of tokens, or 'jettons', used for bartering and trading.